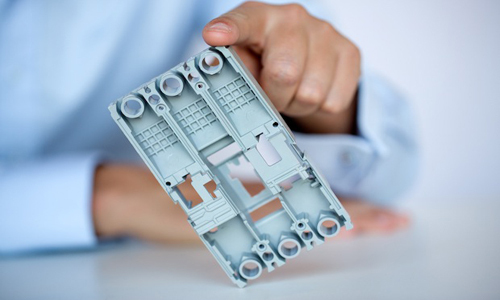 At NPE 2015, Royal DSM will highlight its material applications in packaging, automotive and electronics and electrical (E&amp;E) sectors. For packaging applications, DSM offers its Akulon polyamide (PA) 6 and Arnitel thermoplastic copolyester for thin film in flexible packaging. A recent breakthrough is its Akulon XS for multi-layer or monolayer blown film processing. Also on display will be a thermoplastic composite gas tanks for Compressed Natural Gas (CNG) that DSM is developing with a partner company. Tim Vorage, Global Incubator Manager DSM Engineering Plastics, will be presenting “Thermoplastic Composite Pressure Vessels” on March 25 during the SPI Business of Plastics Seminars. For E and E, DSM will demonstrate the use of Stanyl and Stanyl ForTii for high performance DDR4 memory connectors. Michelle Brand, Marketing Director DSM Engineering Plastics – Americas, will present “Material Challenges and Solutions for DDR4 Connectors” on March 25 during the SPI Business of Plastics Seminar. DSM also recently unveiled the next generation of Diablo high temperature resistant grades in its Stanyl polyamide 46 and Akulon PA 6 portfolios. As said, these new grades are aimed at applications in automotive engine compartments such as air intake manifold, ducts and charge air cooler combinations, where temperatures can reach as high as 260°C.